Custom Rings Offer a Unique Engagement Experience! With Pinterest rejuvenating the DIY culture and celebrity engagement rings getting more enviable by the minute, couples need a way to break away from the ordinary. 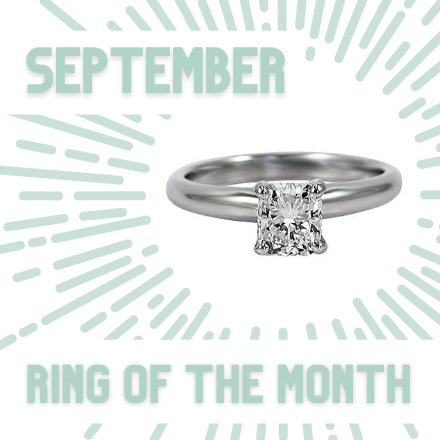 Henne Jewelers offers the perfect solution – customized engagement and wedding rings! Custom rings offer each couple a unique option expertly crafted to meet their individual tastes and desires. Many choose to start with a diamond or stone that has been passed down from a beloved family member. Others begin from scratch for a brand new creation. Before heading to the jeweler, do some research to get an idea of your particular vision. Consider the cut you would like, stone, metal and setting. Consult bridal magazines and online resources for inspiration. If you are planning a surprise, don’t be afraid to consult friends and family for guidance. Whether you have a clear vision or are feeling lost, the expert designers at Henne Jewelers are here to help. We have three expert designers who can help craft the piece of your dreams. It’s not limited to engagement rings and wedding bands. Jon Anderson, Brian Keeney and Nina Pugliese can help bring a bit of creativity to any item you are looking for. A custom engagement ring does not mean it needs to be overly elaborate or expensive. A custom design is simply a way to make it your own. It can be a twist in the band, like this Henne exclusive ring. Or choose an assortment of stones in different cuts that come together for a piece that no one else will have. Whatever you have in mind, the experts at Henne Jewelers will help you through the entire process. The friendly staff can bring any vision to life to make your engagement a truly magical experience that’s all your own.